Media have just received the 2018 Royal LePage release: IMPACT: Home improvement ROI. The release includes expected home price gains on popular renovation projects as well as insight into seller trends. We would like to thank everyone who participated in the survey. We received over 750 responses from across Canada! 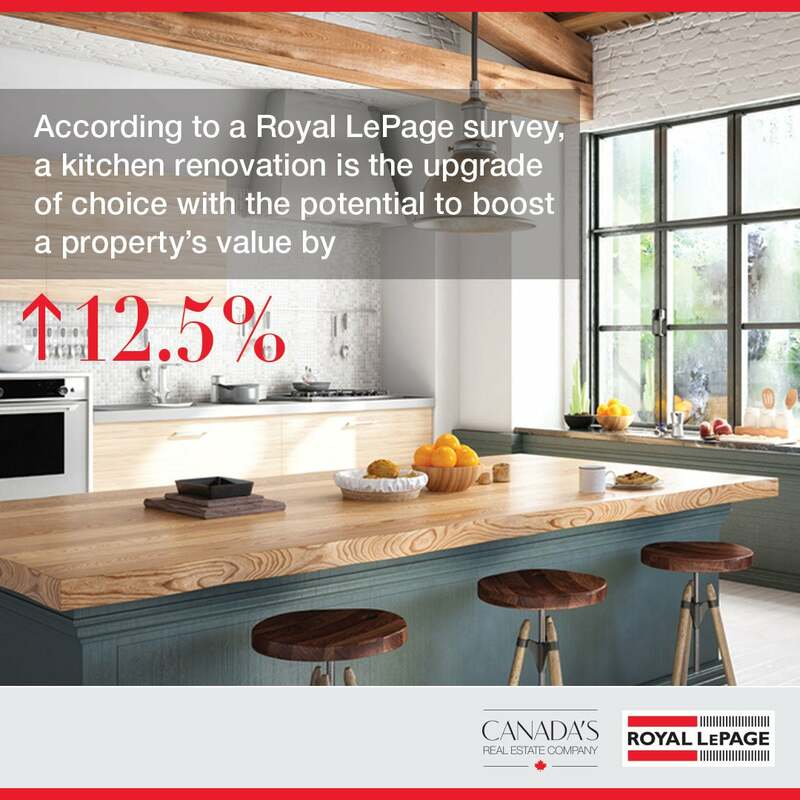 A kitchen renovation is the clear upgrade of choice with the potential to boost a property's value by more than 12.5 per cent. Both ranking second, a finished basement or a new bathroom has the potential to increase a property's value between 2.5 per cent and 12.5 per cent, depending on the investment. Adding a pool or deck is considered the least worthwhile renovation to increase a property's value with pricing potential limited to a maximum of 2.5 per cent of the value of the home. We have developed a series of images for the campaign. Feel free to use and share these items on your social media channels! Consumers, organizations and the media turn to Royal LePage as a trusted source for expert commentary. This consumer trend release is expected to receive pickup throughout the summer. We encourage you to share the release on your social media channels. This communication was sent to you by Royal LePage Canada at 39 Wynford Drive, Toronto, Ontario, M3C 3K5. Questions? Contact Customer Care at 1-877-757-4545. You may unsubscribe from receiving future emails from us.